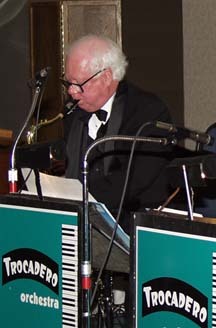 Although a lawyer by profession, Glen's had a long career in Edmonton's music history-- he can boast at being one of the very first Big Band musicians to perform at the Trocadero. 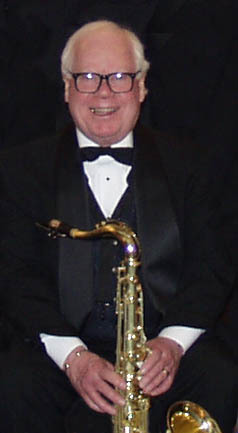 Since then, Glen has continued to play music, as a lead Alto Sax for the River City Big band, and now as a Tenor in the Troc Orchestra. "It's good to be playing my old instrument again -- I've missed it! ", says Glen. 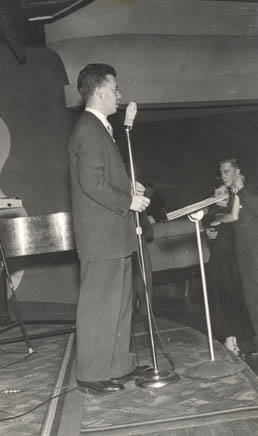 Here's Glen, crooning to the dancers in 1953 with the Bob Lyon Orchestra. 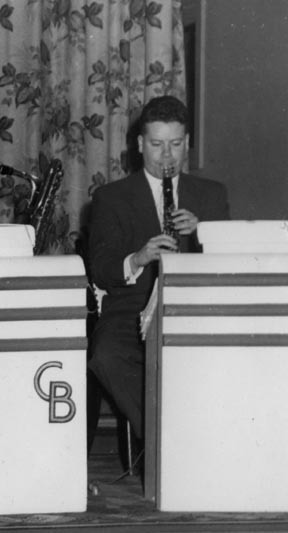 "I played 4th Tenor sax and Baritone Sax"